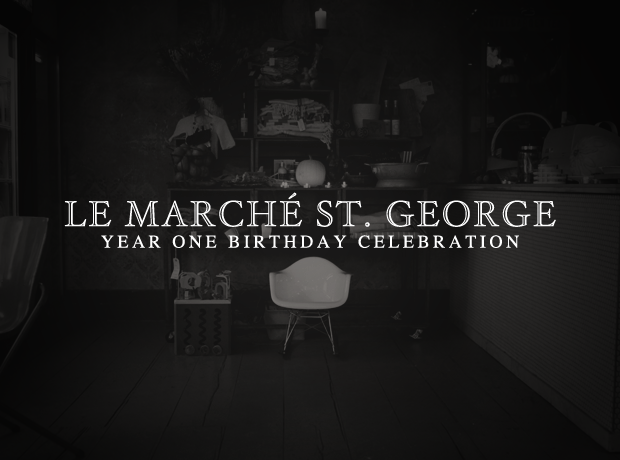 On Saturday November 26th from 9am to 6pm, Le Marché St. George will be celebrating its first year in business, and we are inviting everyone to come celebrate this monumental occasion with us. For the first time, all of our merchandise will be 20% off; there will be complementary mulled wine and apple cider flowing throughout the day, and we have invited many of our wonderful suppliers to join us, to allow you to meet and learn more about the people behind the products we carry, while sampling their delicious offerings (D-Original Sausages, DOHM Cheese, Farmhouse Cheese, and Artisan Italian Baked Goods by Rita). Marché will also be transforming our living space into a winter pop-up shop featuring our recently posted wool collection, linens and Janaki's ceramics. This is our way of saying thank you to our neighbours, customers, friends and loved ones who have made Marché a success over the past year. We're looking forward to seeing you all. And, as always, Marché has a few things hidden up their sleeves, you won't want to miss out! Do you mean November 19th?